The Newbury is a truly Appalachian style home which harkens back to a time in our nation's history when a log home was a safe and secure shelter against the elements, as well as the host for family meals, tales around the fireplace and finally, a well-deserved night's sleep. 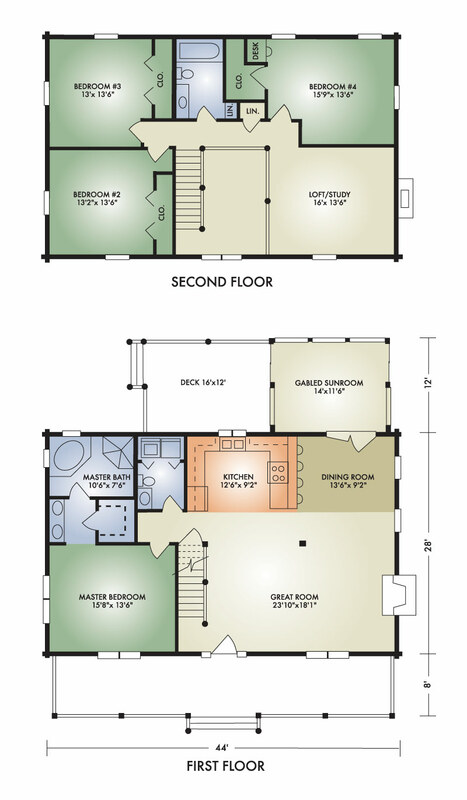 The first floor is similar to our popular model, the McKay, while the second floor includes three bedrooms instead of two. It still features the exposed timber ceilings, open-concept great room with fireplace, master bedroom with walk-in closet and master bath, and inviting gabled sunroom. 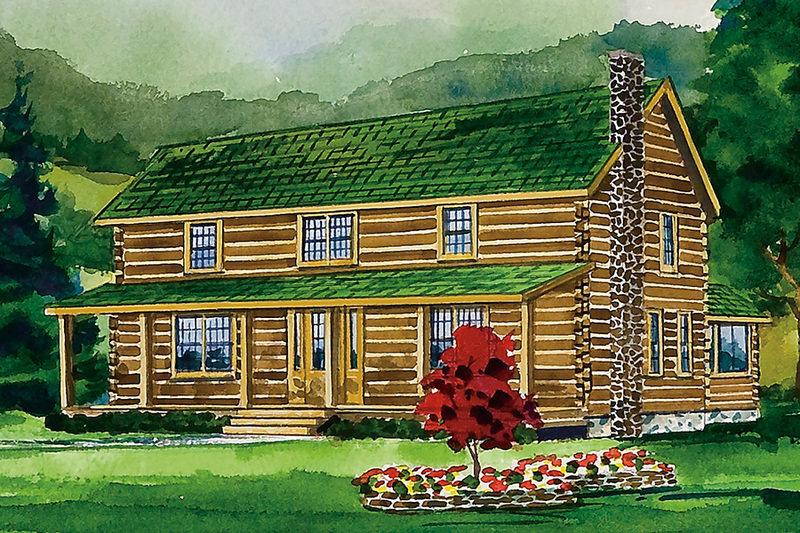 Outside, large square logs with dovetail joints and the full-length front porch reflect its proud American heritage.